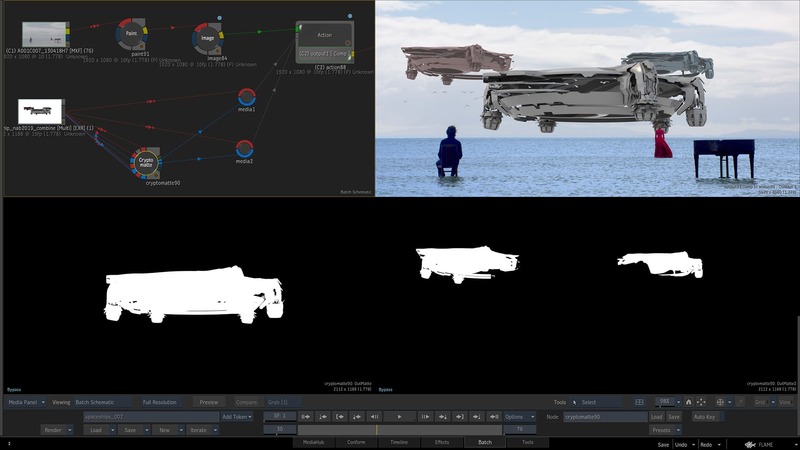 Autodesk is launching the new Flame 2020, at NAB2019. 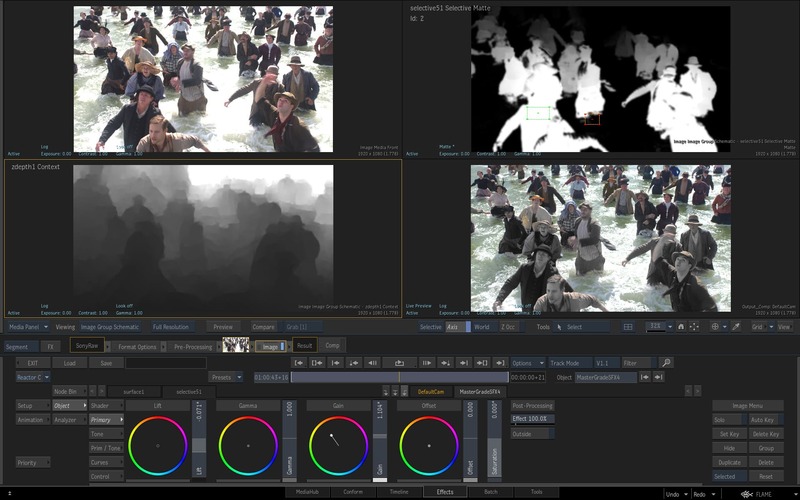 Included in the new version of Flame is a machine learning-powered feature set which bring a host of new capabilities to Flame artists.If you are at NAB Show in Las Vegas, check out the demo suite at the Renaissance Hotel. 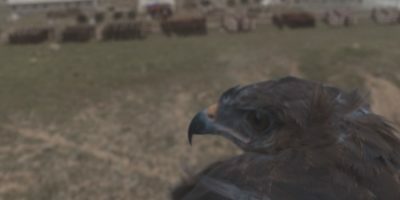 Using advanced computer vision, photogrammetry and machine learning, it is possible to extract motion vectors, Z depth and 3D normals based on an analysis of a still or image sequence. This core new AI engine then enables a host of extremely useful new tools. 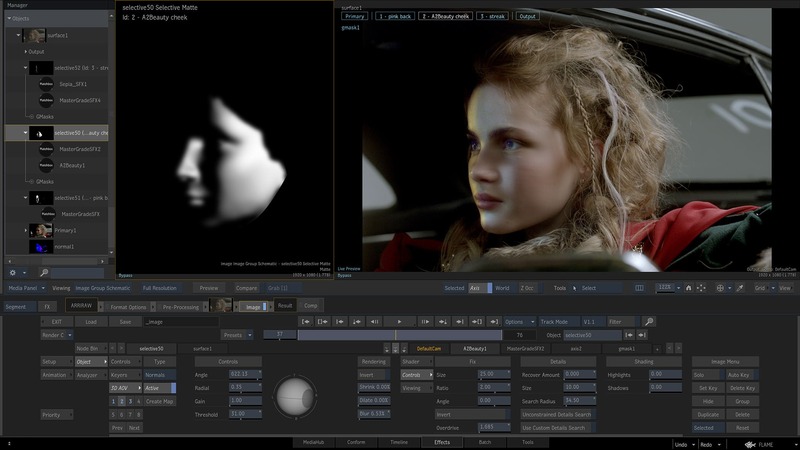 The Flame 2020 release includes these built-in machine learning analysis algorithms to isolate and modify common objects in moving footage, dramatically accelerating VFX and compositing workflows, from colour grading to complex compositing techniques and image processing. 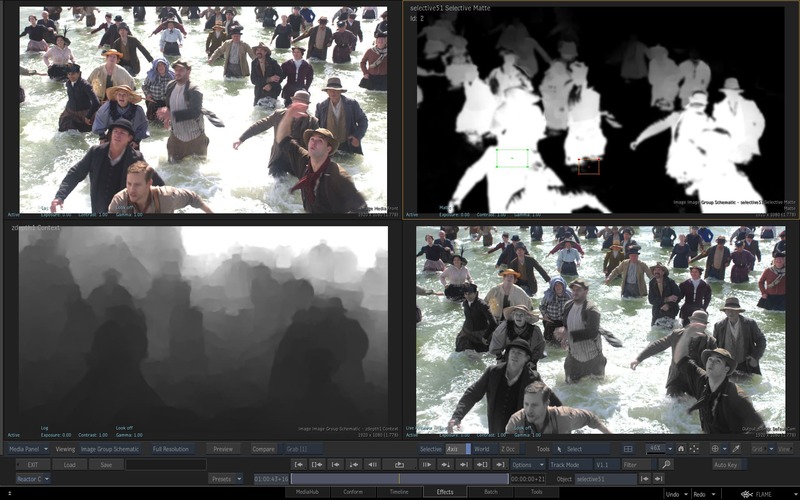 Enables Z depth map extraction analysis using machine learning for live action scene depth reclamation. 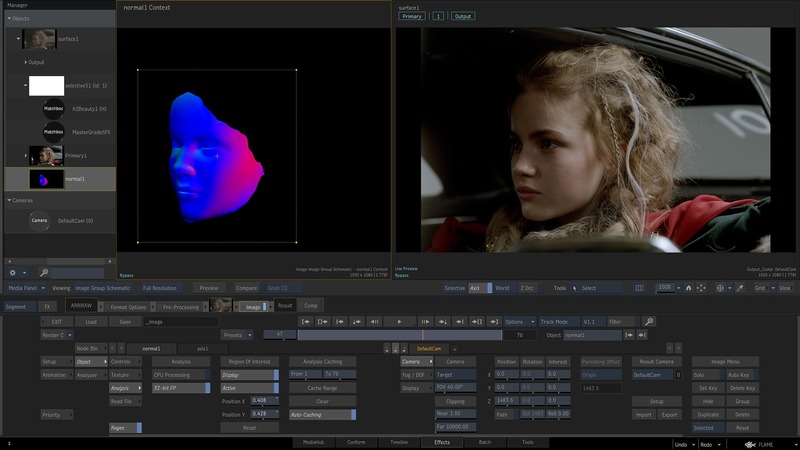 This allows artists doing colour grading or look development to quickly analyze a shot and apply effects accurately based on distance from camera. Since all human faces have commonly recognizable features (relative distance between eyes, nose, location of mouth,) machine learning algorithms can be trained to find these patterns. This tool can be used to simplify accurate colour adjustment, relighting and digital cosmetic/beauty retouching. With the new Refraction tool, a 3D object can now refract and distort background objects based on its surface material characteristics. To achieve convincing transparency through glass, ice, windshields and more, the index of refraction can be set to an accurate approximation of real-world material light refraction. Simpler UX in Core Areas— A new expanded full width UX layout for MasterGrade, Image surface, and several Map User interfaces, are now included, allowing for easier accessibility to key tools. 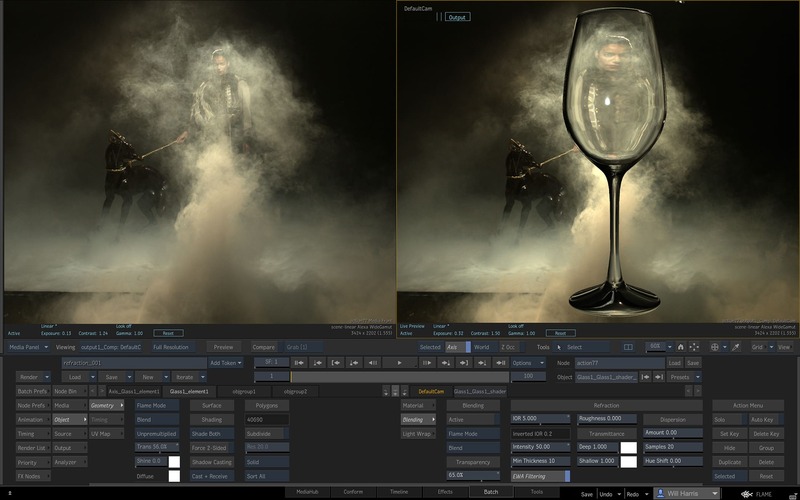 Open FX Support—Flame, Flare and Flame Assist version 2020 now includes comprehensive support for Open FX creative plugins as Batch/BFX nodes or on the Flame timeline. Cryptomatte Support is now available in Flame and Flare. Cryptomatte is the open source advanced rendering technique offers a new way to pack alpha channels for every object in a 3D rendered scene, a simplified or streamlined version of a 'Deep composting' pipeline. Flame, Flare, Flame Assist and Lustre 2020 will be available on April 16, 2019 on subscription. - Lewis Saunders, freelance Flame Artist, London . – Lewis Saunders, freelance Flame Artist, London . Should work in Flame 2019.2 with OFX support. Its been on sale since early December 2018, GPU acceleration nearing completion now.